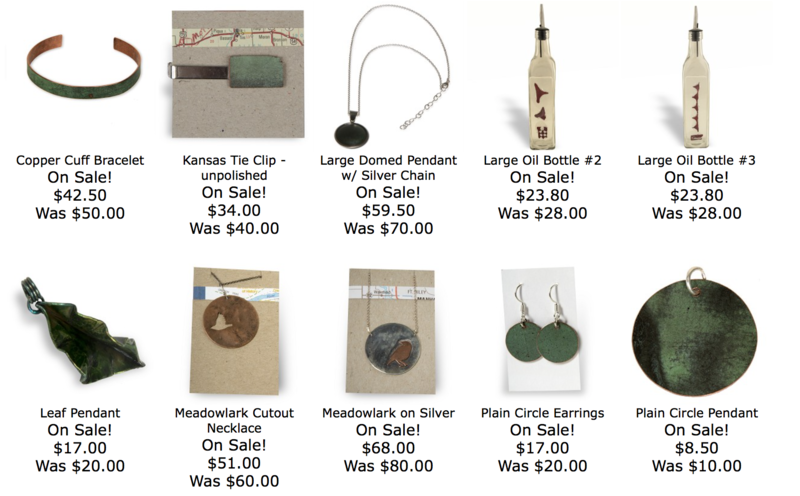 It’s December and so we have our annual Kansas Trail Guide gift guide. 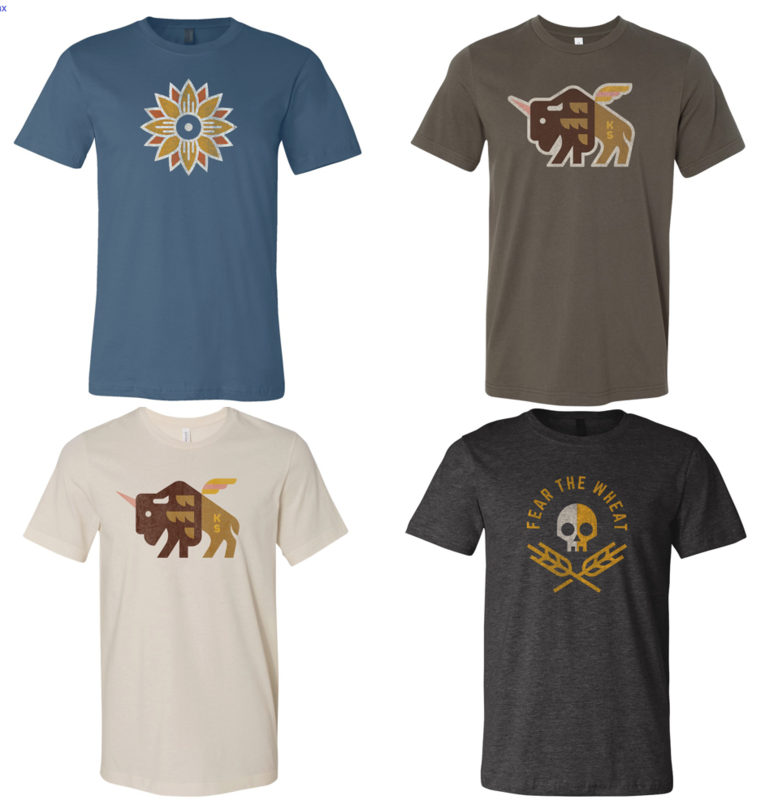 These are a selection of ten awesome and unique gifts for anyone in your life who loves trails, loves Kansas, or both! Not on the list, but just as a reminder, that any Kansas trail lover in your life would love a copy of the award-winning Kansas Trail Guide! Order your signed copy for 24.95 within the next week for Christmas shipping. 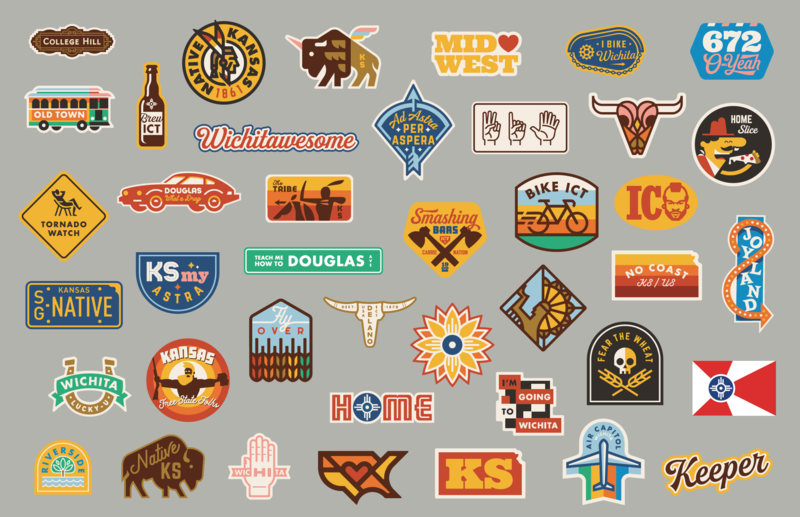 This Wichita based company makes fun stickers, t-shirts, pins, and keyring, all celebrating Kansas. 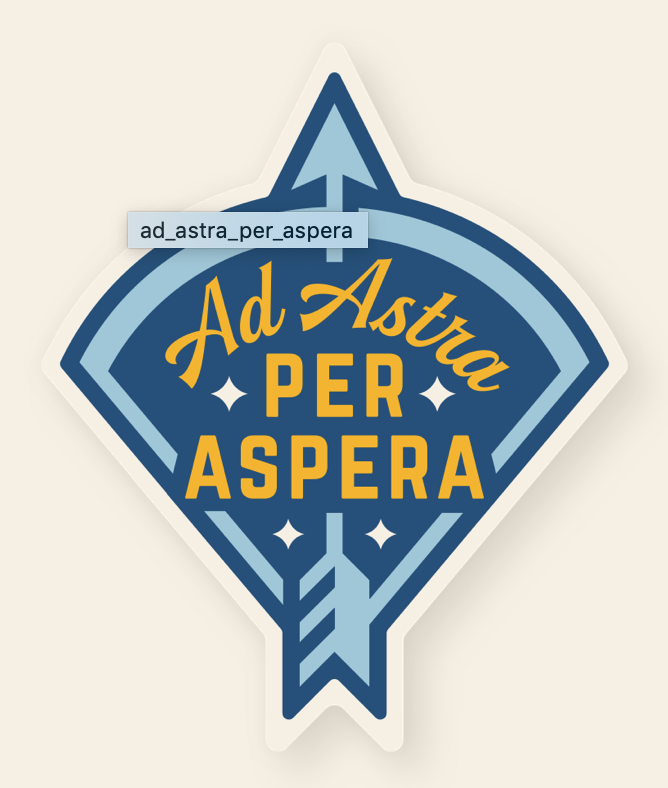 I’ve got the Ad Astra Per Aspera one on my car, and the No Coast/Best Coast one on my trusty water bottle. For the cyclist in your life, there’s the I Bike Wichita and the I Bike Newton. They’ve also got things like the quirky Jackalope and the nostalgic Joyland. They’re high quality, and the perfect stocking stuffer. Buy online or at a local store. Items from $3. By the talented Marci Penner and WenDee Rowe, this is the second edition of their much-loved Kansas Guidebook for Explorers. It’s got 4,500+ entries of awesome things to do and see around the state. For $24.95. We’ve loved Garmin from the beginning of our trail book writing days, and while we had the handheld devices (which are also awesome), the Fenix 5 watch has up to date, color topographic maps, measures your heart rate, tracks your info from distance to altitude (yes, there are hills in Kansas! ), and even connects with Spotify so you can get a playlist for your route. 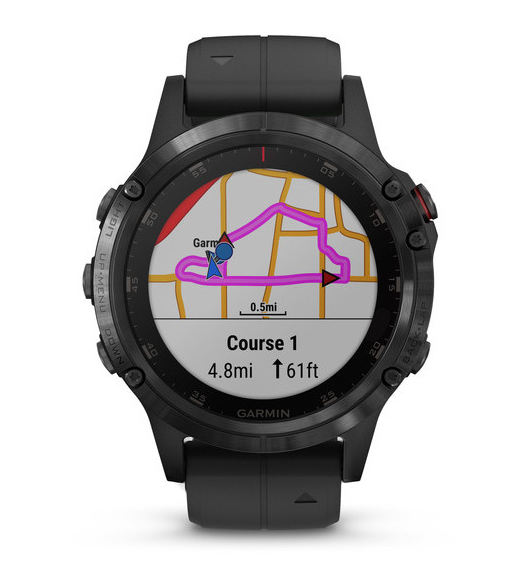 From $699.99 (currently at the time of writing on sale for $100 off) via the Garmin website. You’ve got to be able to get up and going for the trail. So power through with a super strong, super tasty cup of coffee made by a local Kansas roaster. Started in 2017, the Buckskin Road Coffee Roastery is based in Inman. You can order online, or stop by and they’ll refund the shipping. I also saw their bags of beans at downtown Hutchinson’s new Wool Market & DIY School. From $11. 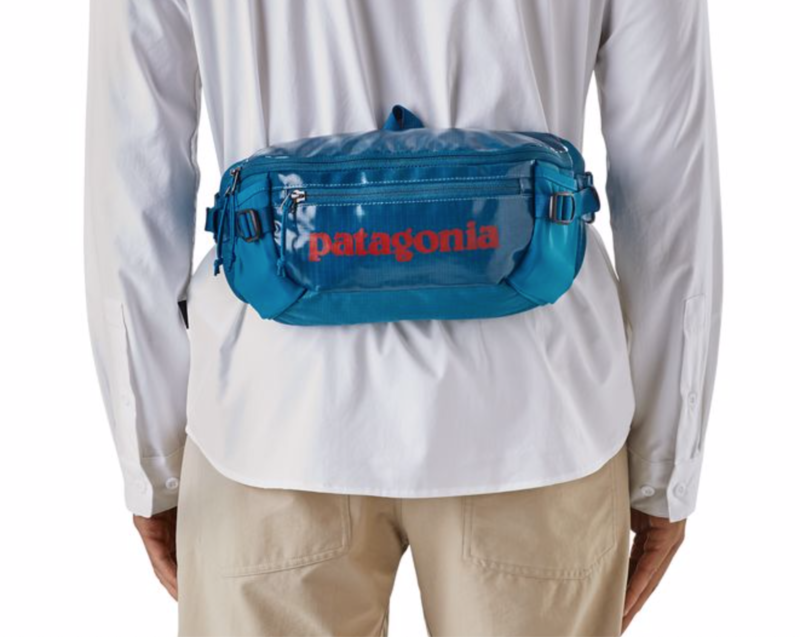 Store everything you need easily at hand and avoid getting a sweaty back with the Patagonia Black Hole Waist Pack. Named the black hole because it holds so much! It’s got one big compartment, plus stretchy water bottle pockets. It’s generally waterproof (in that it’s water-resistant and finished with DWR), and it’s got compression straps that hug your hips and keep it from bouncing around too much. Available in four different colors. From $59. Give back with your gift of these socks. They have a sustainable supply stream, and the socks are made from organic cotton by workers in an ethical workplace. Oh, and they’re in a variety of patterns and styles for men and women. You can also designate where you’d like your donation to go when you buy them — to fight poverty, to give water, to protect elephants, to give books. From $11.95. There are cameras to remotely watch your baby in his/her crib, cameras to see who’s at your door. Why not a camera for your horse? Keep an eye on your horses (or I guess anything you might keep in a stall), day or night, near or far with Stall Watch. It’s a portable video surveillance system that is easy to set up and doesn’t require wi-fi to operate. From $225 plus data plan. It’s made of titanium and weighs only 20 grams. 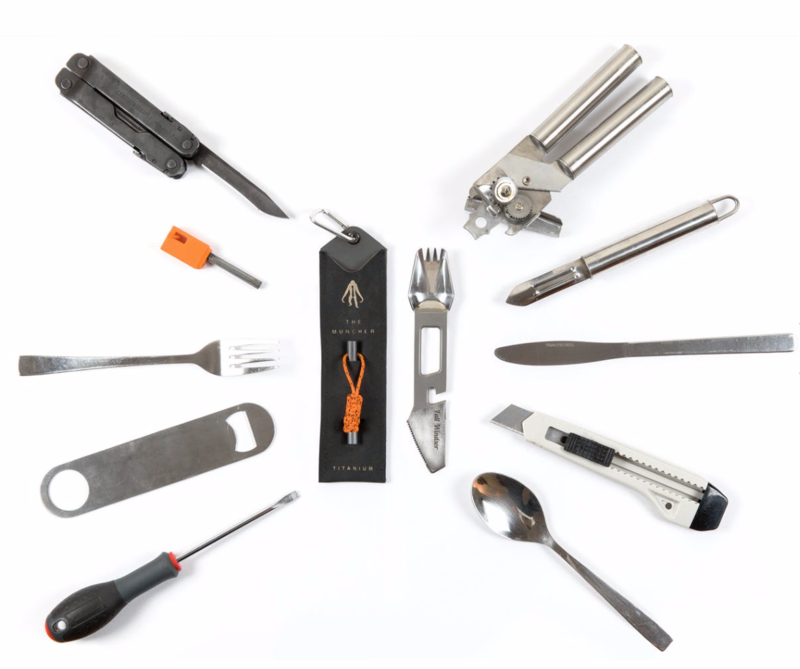 It’s the everything but the kitchen sink of multi-tools. From $49.98. Flat tire out on the trail? No problem. The Lezyne Sport Drive HP Hand Pump is 6.7 inches long and 2.65 ounces, and it fits Presta, Schrader valves. It comes with a frame mount, or you could stash it in your Patagonia Black Hole Waist Pack. Most importantly, though, it can pump to over 100psi without exhausting you. From $19.99. Admittedly, these aren’t the most traditionally attractive sandals, but if you’ve ever had a long day out on the trail and you come home with sore feet and never want to talk again — these are the sandals for you. With the design of the foam, they absorb 1/3 more pressure than regular shoes or sandals, and that helps reduce the pressure on your joints. They’ve got good arch support, and they’re even machine washable! It means wearing them around the house after a long day on the trail means you’ll be able to get back out there sooner and feeling better than ever. Here’s our annual gift guide for the trail lovers in your life. Of course, there’s always our favorite gift of the Kansas Trail Guidebook, but here are 10 more awesome gift ideas. Own your own piece of Kansas history with copper from the Capitol dome from the Kansas State Historical Society. Replaced in 2013, the copper was made available to the Kansas Historical Society and Kansas Historical Foundation for use in products to be sold in the Capitol Store. Items you can get range from jewelry to oil bottles to a single sheet of the copper to put on display. 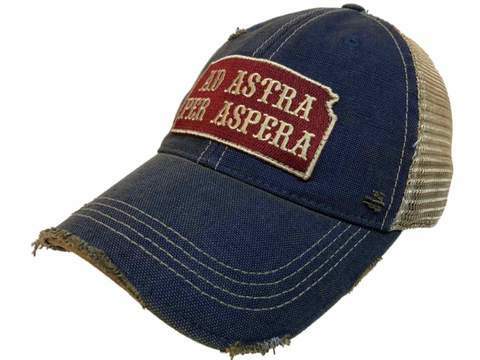 You can buy it in person at the gift store of the Capitol, or online. Mark your calendar for May 4-6, 2018 at Rock Springs 4-H center for a woman’s weekend of wilderness skills and outdoor fun. Excellent course and a gentle introduction to high adventure and outdoor skills. For the already intrepid outdoors-woman, get inspired with a subscription to Misadventures magazine. 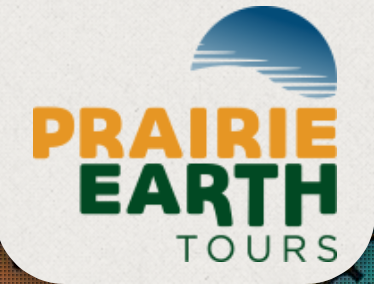 Experience the best of the Flint Hills like you never have before! If you are looking for a guided adventure that takes the guess-work out of planning an awesome trip, here’s the place to sign up! Choose from a guided photography, craft-brewery, moonlight tours of the Flint Hills, or customize a private tour. 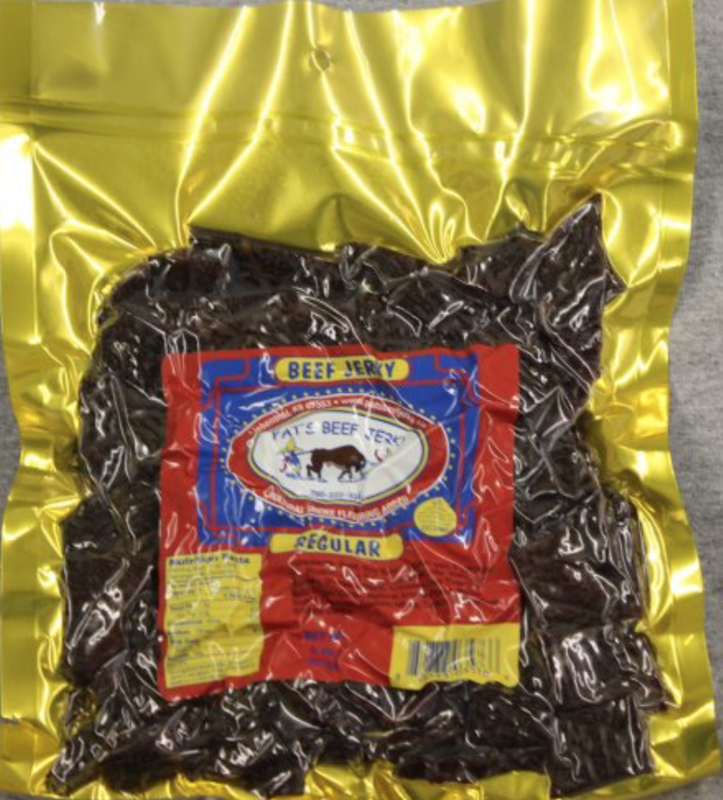 In my book, nothing is better on the trail than beef jerky! And no beef jerky is better than Pat’s (#boldstatement). If the wonderful town of Liebenthal is not on your daily commute, just have it shipped to your door in time for Christmas or a First Day Hike. A touch of the flavor from licking the back of a fork after you’ve had pancakes. Overall, the first thought was that it would be too sugary – that it would taste like maple syrup. But once everyone tried it, the consensus was that it was unexpectedly light and tasty, and that it tastes best after it’s been in the refrigerator. The water is pure maple sap, sustainably tapped from maple trees in Vermont – no concentrate and no connection to maple syrup production. It’s closest comparison, in terms of flavored, slightly hipster seeming drinks, would be coconut water. But the advantage the maple water has is about half as much sugar as coconut water – maple water has 7 grams per serving (one 12 fl oz bottle). Why not simply drink regular water? Maple water seems to stand in a sweet spot between water and sports drinks. For most of us, we aren’t exercising enough to really warrant needing the amount of electrolytes and sugars that are in sports drinks like Gatorade. But it does give you more fuel than plain water. The website has some fun recipes you can try from the healthy to the indulgent (with far fewer additives and processed sugars) – wellness shots to pumpkin protein smoothie to watermelon mint maple water cooler. Overall – tasty and good for you (as far as I can tell – I’m not a doctor! ), better for you than sports drinks or coconut water, and great for drinking by itself or using as a recipe ingredient. Product provided free of charge for review purposes, but opinions are all my own. Welfelt captured some stunning trail imagery included in the Kansas Trail Guide and we’ve been consistently impressed with his landscape shots. What better reminder of your hiking adventures than a signed print that captures the grandeur of some of the greatest wild places in the state? You can never have enough multi-tools. Especially one shaped like a monkey! This unique design is American-made and has a plethora of handy features in a compact design. And did I mention that it looks like a monkey? Here’s the gift that keeps on giving – a subscription for a monthly or quarterly box of new outdoor goodies from Cairn. The boxes are always a surprise, but they include a variety of items from these categories: food, clothing, gear, skin care, and emergency/medical. They’ve also got a limited set of holiday gift boxes. The black-footed ferret, once thought extinct, is back on the Kansas shortgrass prairie. Show your support for the little animal and symbolically adopt a black-footed ferret in the name of a loved one. They’ll get a cuddly stuffed toy ferret, and you’ll get the satisfaction of knowing you’ve helped keep a species alive. 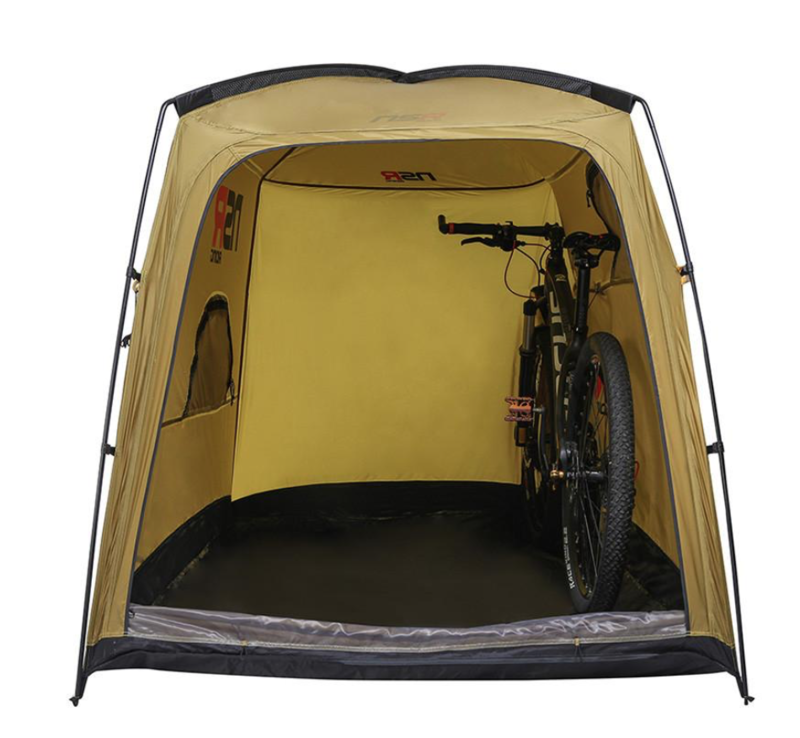 Ideally suited for lounging at the campsite after a day on the trail, this is an innovative way to pack along a comfortable (and very cool) place to kick back and relax. You will most certainly be the envy of all your friends. Just remember – you move it, you lose it! This is one of the best new books on exploring Kansas that we’ve read! An instant classic for the outdoor lover; Frazier weaves vignettes of his own adventuring into a compelling page-turner. For planning that big adventure while sitting by the fire this winter. This totally makes me want to be a kid again. Place strategically on your next camping adventure and keep the whole clan entertained. Plus, for every TreePod sold, they plant a tree. Have kids? Look no further. Long name, cool product. This solar powered, rechargeable lantern is collapsible and weighs just 4 ounces. From one charge, you can get about 24 hours of light. And that’s not just any light – it’s 75 lumens of LED light. Plus it’s waterproof. For you big spenders out there or those looking for a once-in-a-lifetime trip, go on a Signature Camping trip with REI Adventures. While backpacking and roughing it in the wild has its charms, so does someone bringing hot coffee to your tent in the morning and having a hot shower at the end of a day. Everything gets sorted out for you from tasty food to camp set up to transportation. We’re not in Kansas anymore! REI Adventures campsite in Canyon de Chelly. All you have to do is show up ready to hike and explore. Their most recent addition to their Signature Camping trips is the Arizona Ultimate Adventure – Grand Canyon & Beyond. It’s eight days of awesome where you explore many of the legendary canyons of Arizona – Grand Canyon, Antelope Canyon, Canyon de Chelly – and kick back at the end of the day. Next trip leaves April 29, 2017. So this is more of something that you have to earn. But what better addition to your patch collection then one that signifies the completion of the Flint Hills Nature Trail challenge? Give the gift of adventure and use a signed copy of the Kansas Trail Guide to plan an epic trip with your favorite hiking partner. Only 2 patches that have been earned so far. Will you be next?